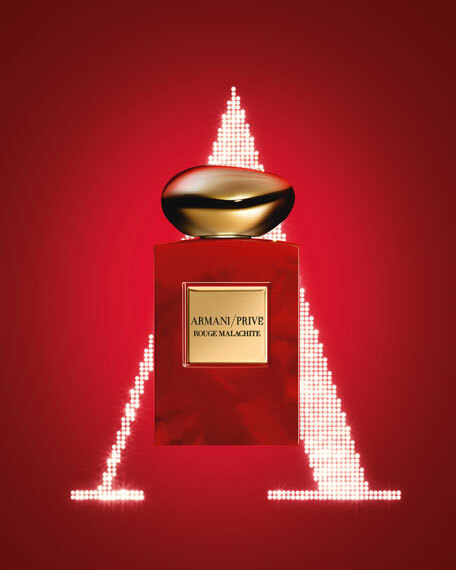 A luxurious holiday tribute to Armani/Privé's newest icon: Rouge Malachite, featuring a gold cap, plate and sleeve. Limited for this holiday only. For in-store inquiries, use sku #2438862.